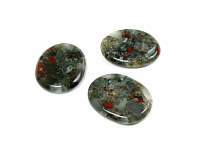 Worry stones are smooth stones that fit in the palm of your hand. 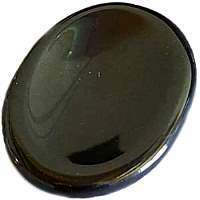 Palm Stones are similar to worry stones but don't have the indentation in them. 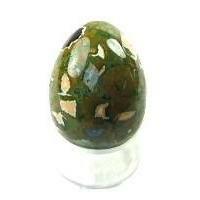 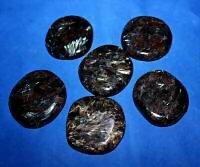 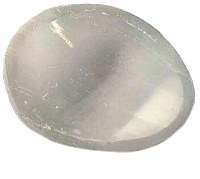 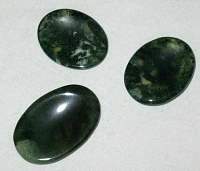 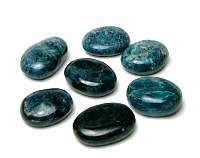 They are also called touchstones or pocket stones. 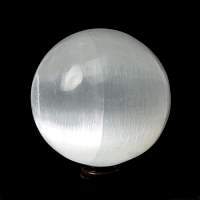 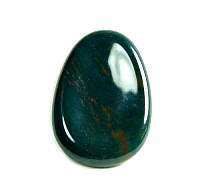 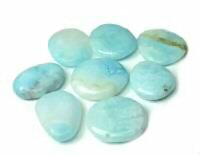 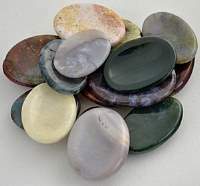 These flat smooth polished stones are used for healing and laying on a body part, chakra layouts, hold during meditation, carrying in the pocket and are great for under your pillow. 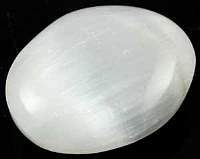 When you are anxious or stressed or worried, you are to rub them with your thumb or otherwise trace their surface. 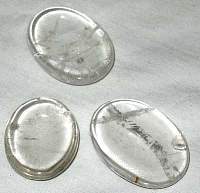 These crystal worry stones can be used to help get over other nervous habits, or otherwise soothe yourself when you are troubled. 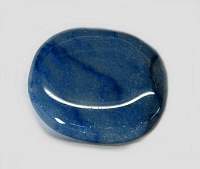 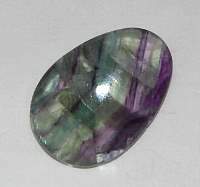 We offer a variety of precious stones. 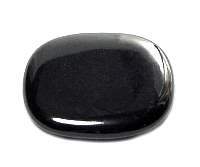 About this page: Worry stones are smooth stones that fit in the palm of your hand.